Charity auctions are sure to attract major donors! Get 200 charity auction participants wealth screened for FREE. 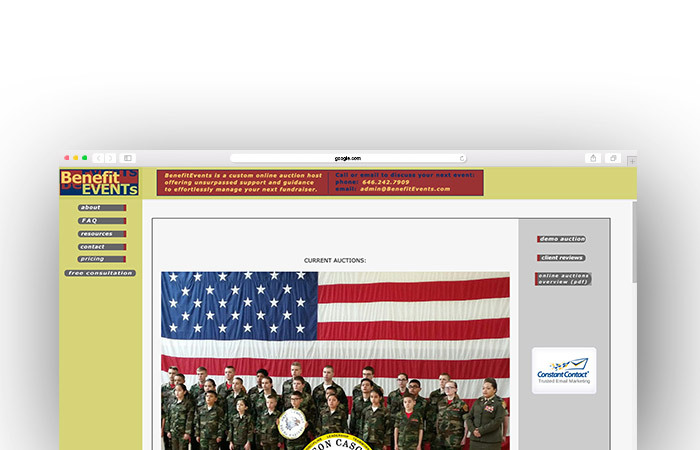 An essential part of any charity auction event, especially online auctions, is the event’s website. Donors look to this webpage to learn more about the event and the nonprofit’s mission so it needs to be intuitive and user friendly while maintaining a professional look. Now we know what you’re thinking. There are millions of software providers that can create charity auction websites, so where should I start my search? 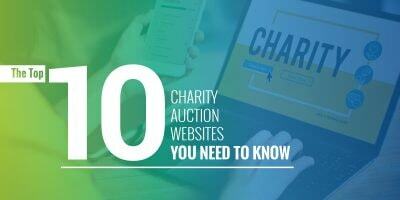 If you’re ready to create a stellar charity auction webpage, let’s find the right provider for you! 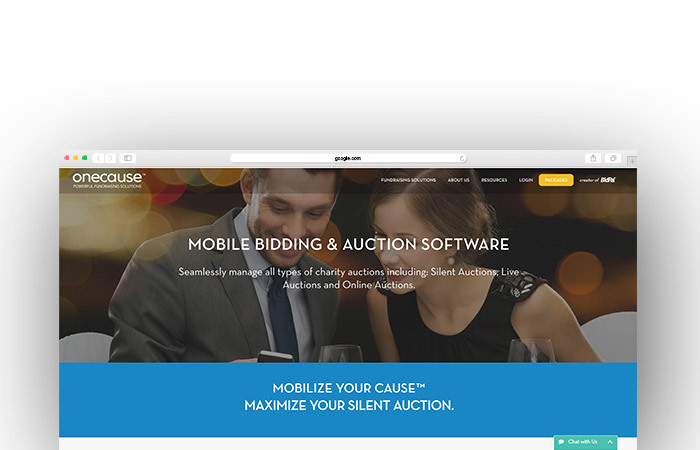 OneCause makes sure setting up online campaigns and online auctions is stress-free. With OneCause, your website will host your item listings and display a countdown clock for the auction. You can even sell certain items at fixed prices. In addition, you can share your nonprofits’ social feeds on your OneCause online site, which gives your supporters the opportunity to share it on their networks. Add social sharing buttons on bids, too! OneCause offers multiple packages to fit any event because they know one size doesn’t fit all. While this software is not for building a charity auction website, we’d be remiss if we didn’t add it to our list. Double the Donation is a matching gifts database that nonprofits can use to increase their supporters’ awareness of corporate philanthropy and encourage donors to take advantage of these policies after their charity auction. When you include a Double the Donation plugin or link on your charity auction website, you put corporate philanthropy in the front of your attendees’ minds. If your event-goers are thinking about their matching gifts eligibility, they’re more likely to initiate and complete their matching gift after they’ve purchased their ticket or bid on auction items. The basic plan is $299/year and the premium plan is $499/year, so look at the options here and consider what your nonprofit needs. Check out Double the Donation! ClickBid focuses on assisting you in crafting your best auction event yet, so donors walk away with a positive experience. 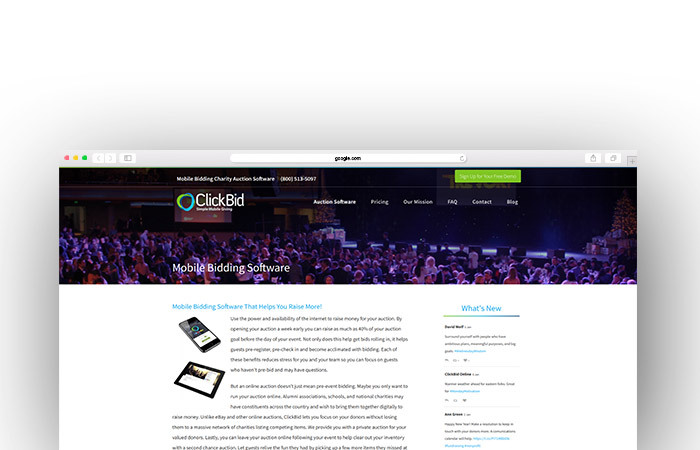 ClickBid simplifies the bidding process. Guests just need to click a link and they can instantly begin bidding! This means that supporters from all around the world—not just those at your event—can participate in your auction. Plus, you can even use ClickBid’s Fund-A-Need display to project your total on screen to encourage competitive bidding. ClickBid offers their annual event license at $795. Silent Auction Pro, a perfect solution for any charity auction, is an internet-based and multi-user charity auction software. To make your fundraiser both mobile and online, Silent Auction Pro creates a webpage for your nonprofit’s event. On your website, bidders will be able to place bids and scroll through item listings you create in your program guide. And of course, to follow in suit of your digital auction, donors can receive custom email receipts and thank-you’s. 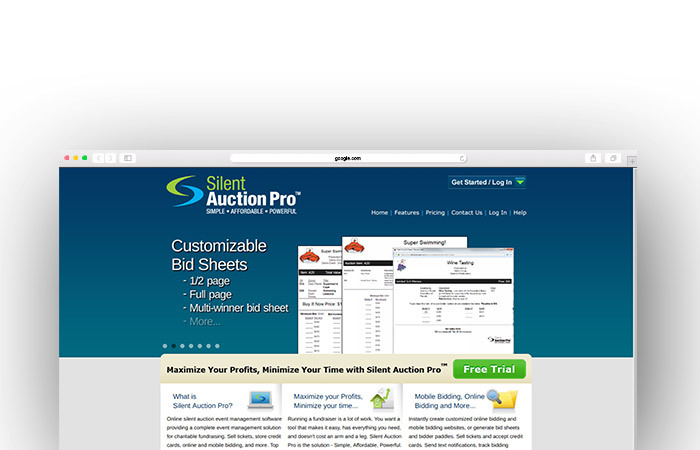 Contact Silent Auction Pro for a quote on their software! Check out Silent Auction Pro! WebMaestro’s software lets nonprofits easily host successful and “fully functional” online auctions. Plus, their setup is simple enough that you can do it in just a few minutes. On your site, all you have to do is enter beginning and ending times, select the items you want to auction off, and WebMaestro does the rest. Your bidders can then submit their bids and you’ll watch your auction collect profit! 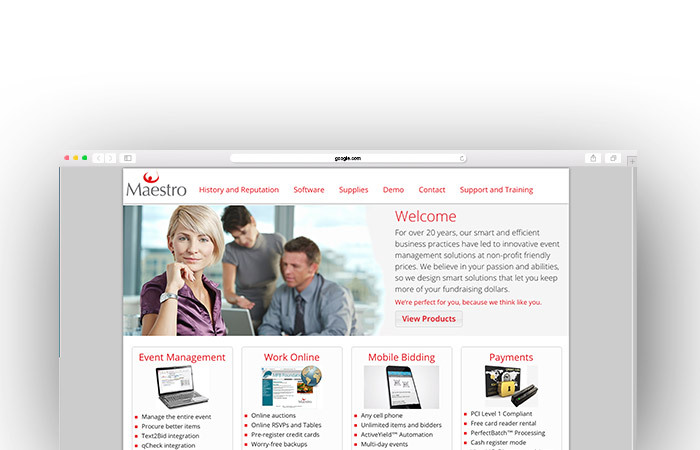 Contact WebMaestro for a quote on their software. 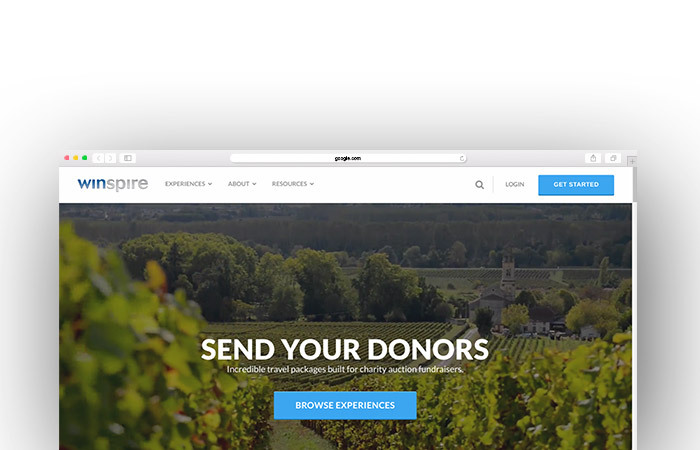 Winspire doesn’t let you host your own online auction, but it does allow nonprofits to curate over 200 auction items that range from tickets to major sporting events to international trips. Select one unique experience that you think will appeal the most to your audience. Offer the experience at your event. You can auction it off multiple times since you’ll only buy the ones you sell! Tell Winspire what you sold. After your event, inform Winspire of how many times you sold the package followed by the names and emails of your winners. Once the payment is received, your winners will receive a voucher. Once the winners receive their vouchers, they can redeem it and have Winspire book their trip! The best feature of Winspire’s site is that it’s completely risk free. As mentioned previously, you only buy what you sell, so there’s no upfront cost to your nonprofit! The only cost is that of the package you decide to auction off. It’s eBay for Charity! This bidding site has a dedicated program for nonprofits. 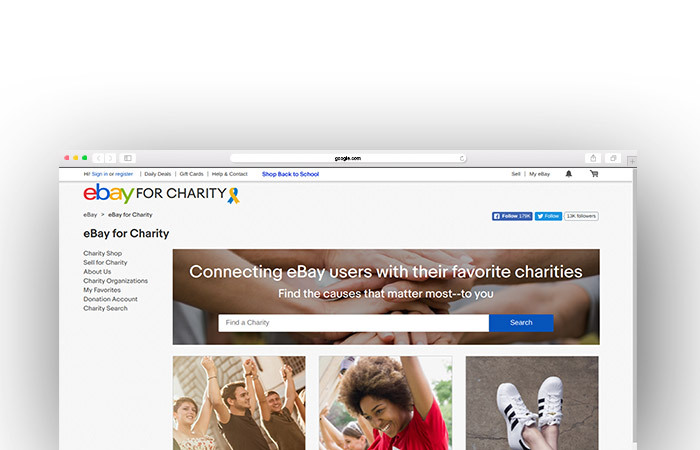 All your nonprofit needs to do is affiliate their eBay user ID with their charity account and then they can create listings and sell directly! And don’t forget list your organization in eBay’s directory by registering your nonprofit with PayPal Giving Fund. Their verification takes about 1-3 business days. The only cost to your nonprofit is a small eBay.com insertion fee, which is only involved in Community Selling. For Direct Selling, the nonprofit receives all of the profit. Check out eBay for Charity! This platform, like Double the Donation, is not a website software but is vital for any nonprofit serious about maximizing the fundraising impact of their charity auction website. 360MatchPro is from the makers of Double the Donation, but it is a far more extensive program than just the plugin. 360MatchPro is the #1 matching gifts automation platform, meaning that the program will handle every step of the matching gifts process, from the first donation all the way until your nonprofit receives the matching gift. Auction attendees and major bidders are likely to be some of your most engaged supporters, so make sure that you make them aware of their matching gift eligibility as well as help them through the matching process. 360MatchPro’s automation is perfect for making sure you reach out to all eligible supporters after your charity auction. 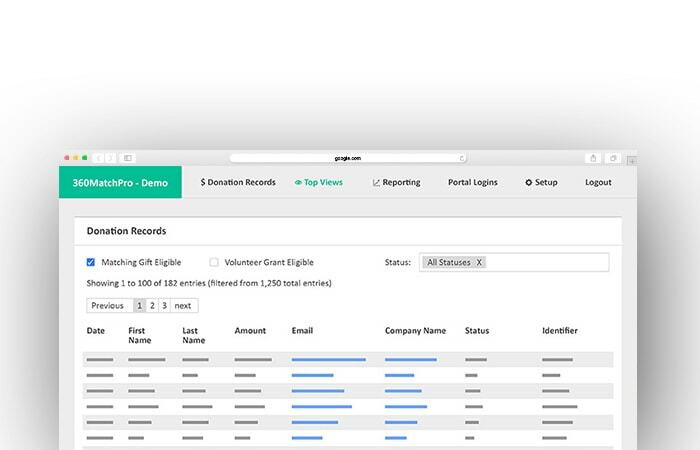 These features make it possible to discover hidden opportunities for a sustainable relationship fueled by both individual and corporate donations: integrate your charity auction website and 360MatchPro dashboard to analyze the data you collect from your attendees for maximum fundraising impact. Contact 360MatchPro for a pricing estimate, as well as a personalized demo! 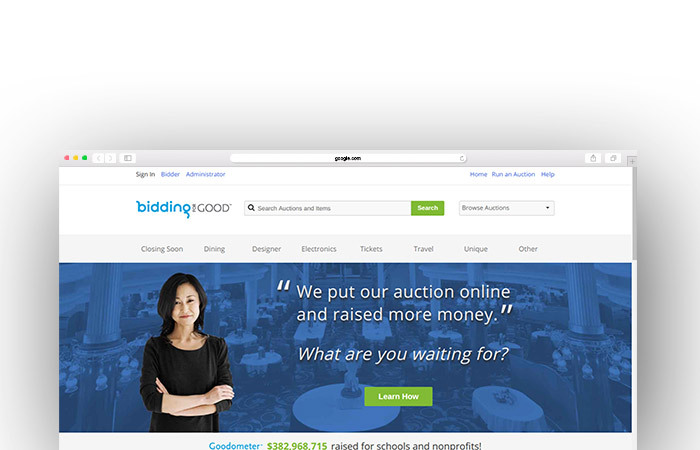 BiddingForGood built their online auction capabilities as part of their mobile bidding package since the two can go hand-in-hand. Their mobile-optimized and intuitive site lets bidders search auction event for specific items, browse through open listings, or make additional donations. They even encourage social sharing! With a “Share This Auction” button on the homepage of their website, it’ll be hard to keep quiet about your auction! Your nonprofit can receive immediate phone and email support to help your organization with any issues you might find with your website. BenefitEvents offers their online auction software as a standalone product or as an addition to a live event. They work with your nonprofit to develop an online fundraising strategy specific to you! By creating an online community and using your website, of course, in conjunction with their marketing expertise, you’ll be able to maximize your profit easily! Tracking your items as they’re procured, auctioned off, and then won will be a relaxing job for your nonprofit when working with BenefitEvents. There’s one all-inclusive fee with BenefitEvents, which is 10% of your total online profit up to $25,000 and 5% of bids above $25,000. Now that you have our top 7 charity auction websites, your next auction event should be accompanied by a fantastic website! Double the Donation Top 10 Charity Auction Item Ideas. Now that you have your charity auction website, you’ll need to procure some items to post listings of! Check out Double the Donation’s favorite items for some inspiration. OneCause’s Charity Auction Item Ideas. If Double the Donation’s list doesn’t give you enough options, check out OneCause’s list of ideas. Between the two, you’re sure to find plenty of items your donors will love! Double the Donation’s Charity Auction Guide. If you’re just about ready to host your charity auction, take a look at Double the Donation’s ultimate guide to brush up on your auction knowledge and get the best tips in the biz. Does your nonprofit software or service deserve to be featured on the Donorsearch blog? Contact us! Our blog features some of the top providers for nonprofit organizations. Do you belong on our lists? If your nonprofit software or consulting service should be featured on our blog, contact us to let us know!